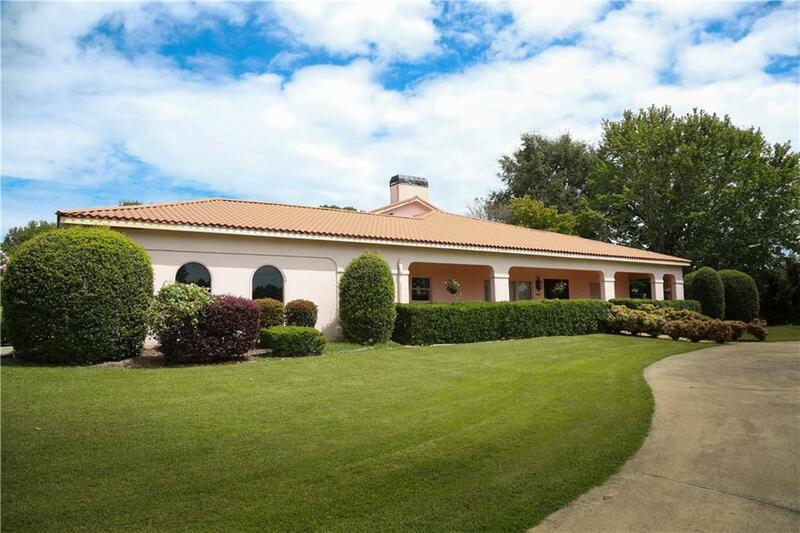 Mediterranean Equestrian Estate Home on 11.5 Acres in Prime Rockdale just minutes from Shopping and State Rd 20..minutes from Grayson. Central location with easy access back on Lenora Church Rd to the heart of Snelville. Unique design that words can not describe with large rooms, great flow for entertaining, Cooks Kitchen with all appliances remaining including new refrigerator, all Laundry equipment,built in buffet,walk-in pantry and more. Newly redone pool is a dream with large entertaining areas and most seating included. Too much to mention, plus a 5 stall barn! Directions: Hwy 78 East To Snelville, Rt On 124 To Left On Henry Clower, Rt On Lenora Church Rd, Go To End And Turn Left On Pleasant Hill Rd, Short Block To Rt At Light On Hwy 20, Follow Several Miles, Left On West Hightower Trail, House Short Distance On Left, Look For Sign Or Large Stucco Home.